Multiple award winning Governor of Enugu State, Rt. Hon Ifeanyi Ugwuanyi was sighted engaging in door-to-door campaign. 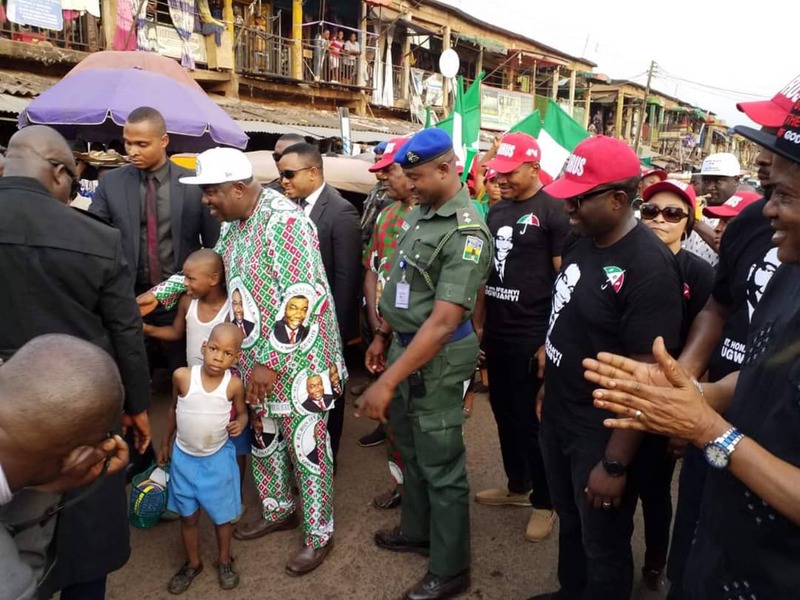 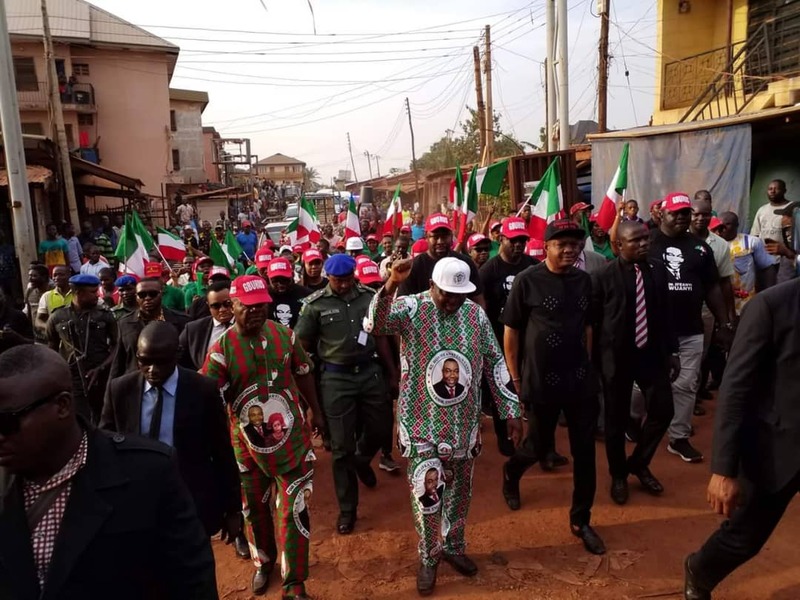 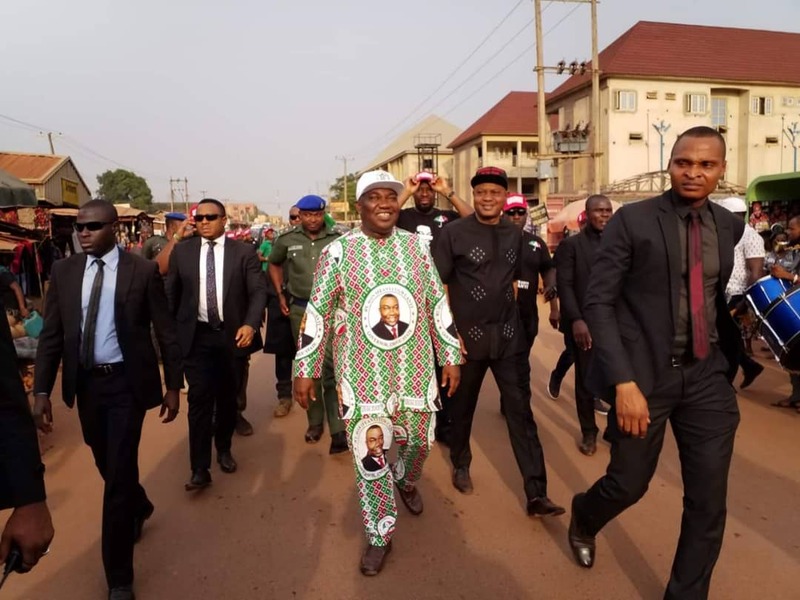 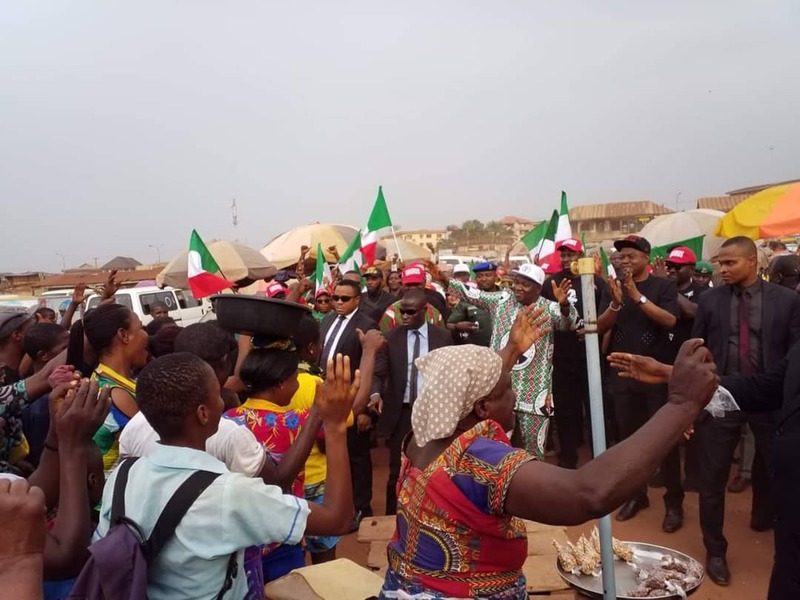 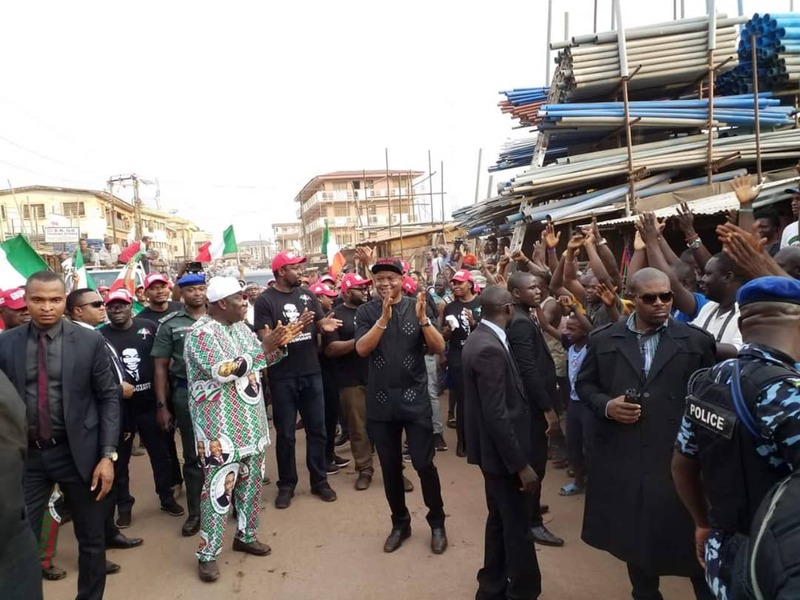 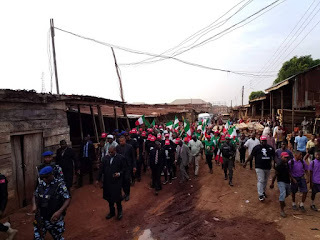 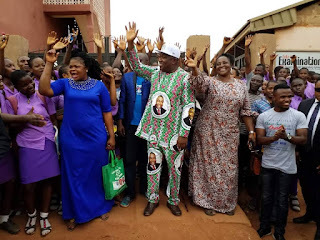 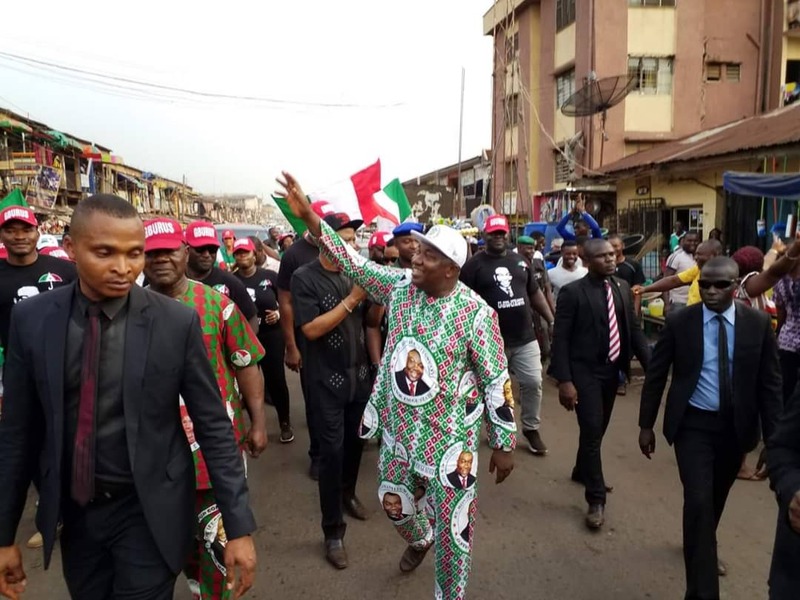 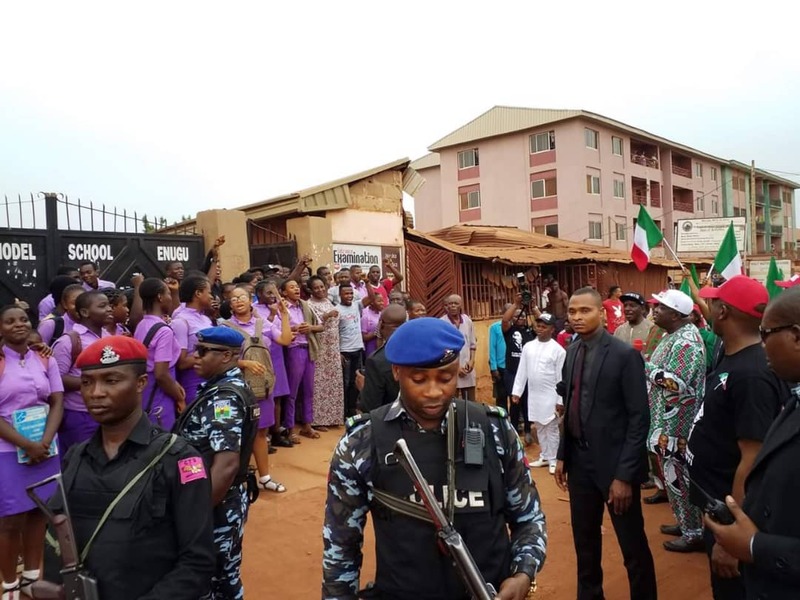 Governor Ugwuanyi who is also the governorship candidate of the Peoples Democratic Party (PDP), storms markets and streets of Enugu. 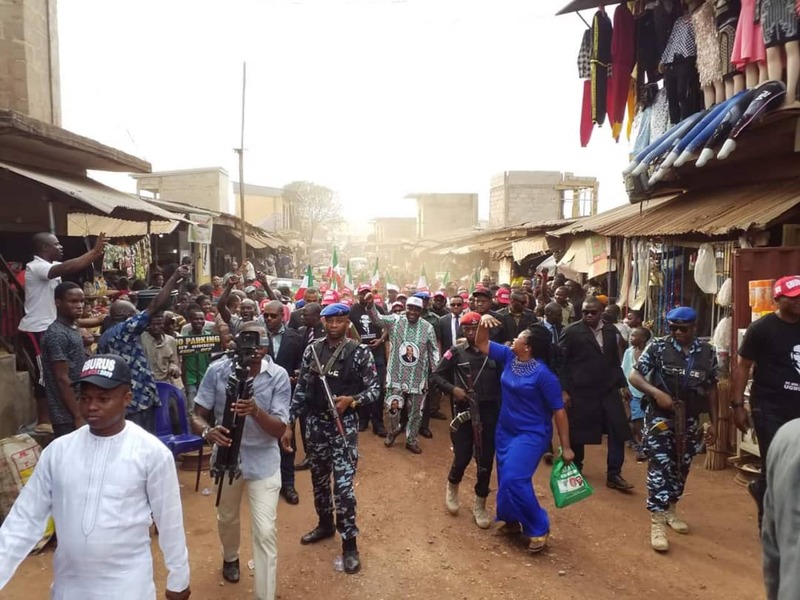 He visited Garki, Timber and Kenyatta markets amid jubilation and cheers from traders, residents, teeming supporters and admirers.